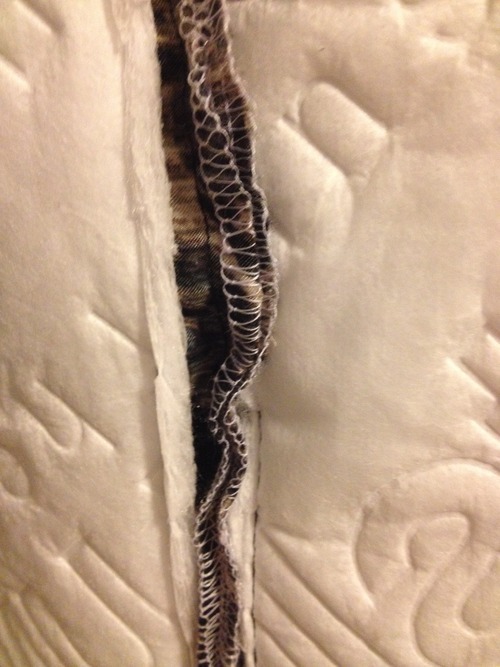 This week my focus was on my coat lining and getting my interlining sewn in. 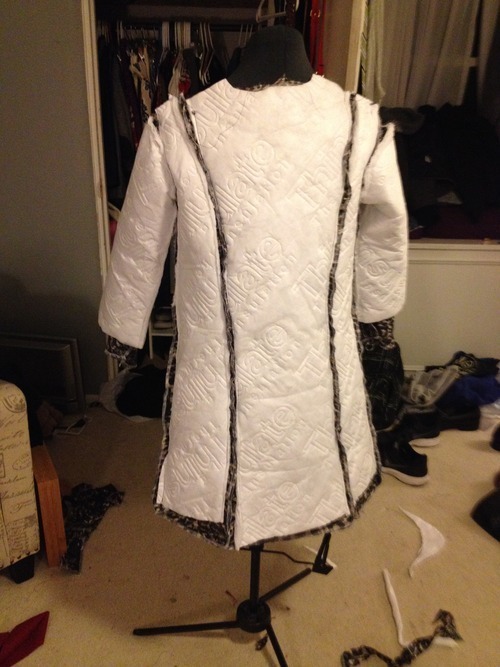 The lining by itself was pretty easy. I just followed the pattern pieces. It got a little tricky with all the bulk and fabric, and the Thinsulate competing with the lining seams caused my fabric to pucker a little bit. 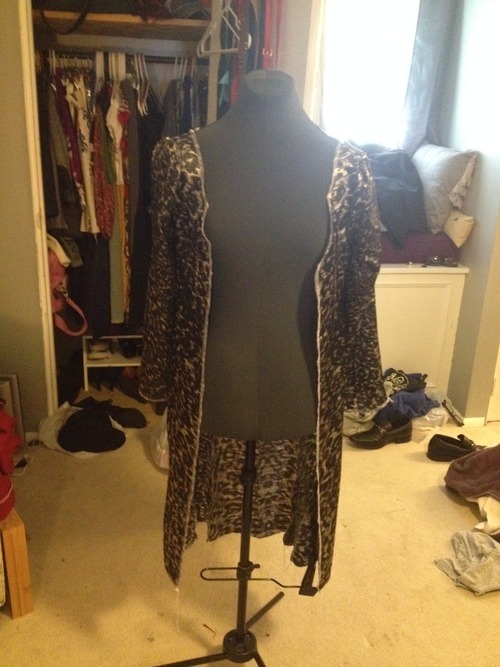 This is what it looks like, front and back, all sewn together. 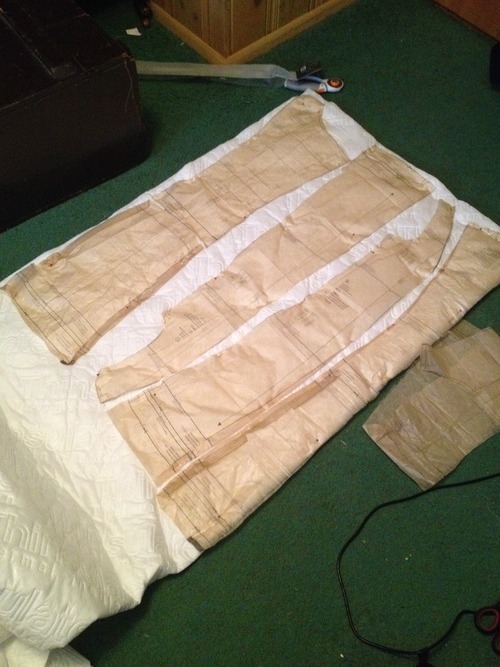 In retrospect, I would have sewn my interlining to each piece of lining THEN sewed the lining together, while still leaving some room for seams without the bulk. 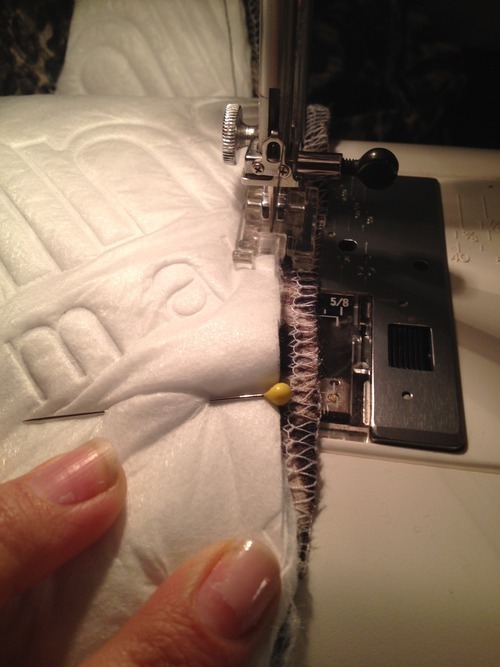 It would have eliminated a lot of tricky and sloppy looking seams. Since this will all be inside the coat, I don’t care quite that much. Next week I put it all together! 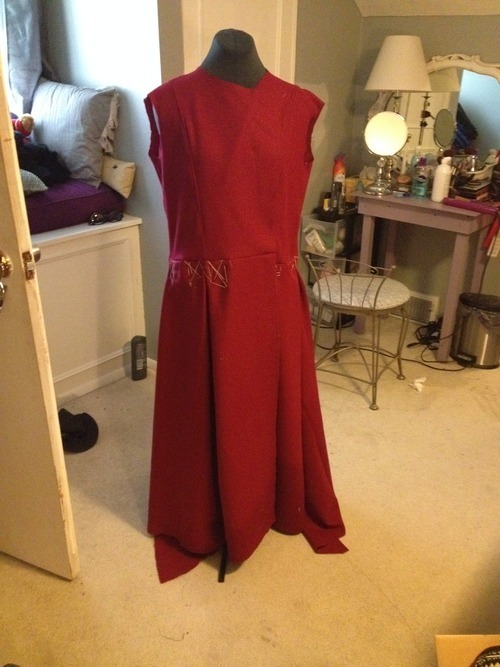 For my interlining and lining, I used pattern B from my pattern, because it seemed a little unnecessary to do all those pleats on all layers. 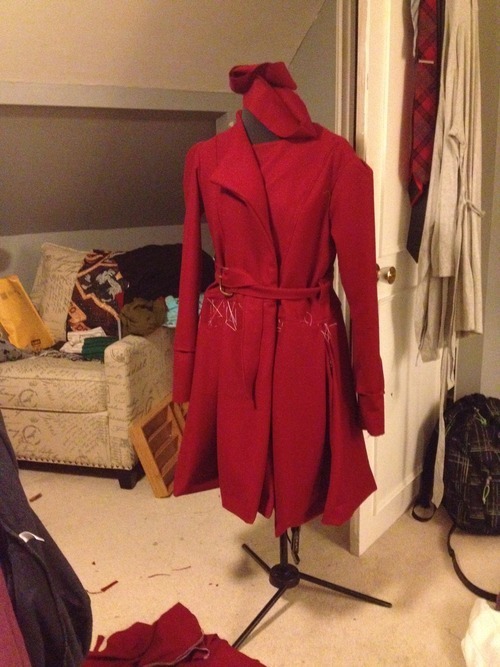 It will still helped hold the shape of the coat without too much bulk and weight. Bulk is apparently the word of the day. Again, I found it for a great price over at Vouge Fabrics. Next week is a bit of a doozy. 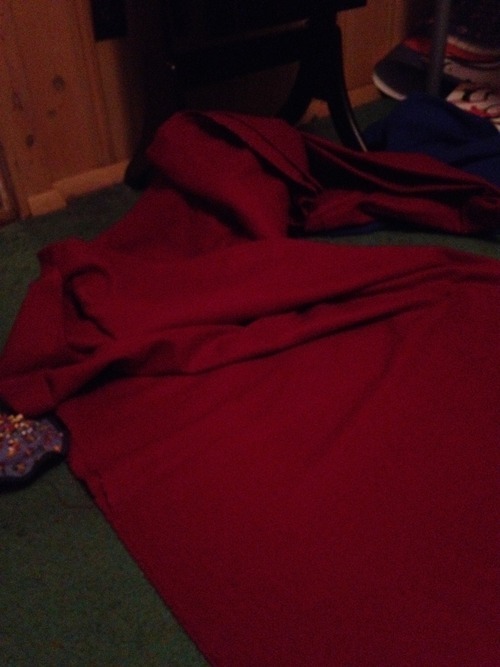 Cutting and sewing the lining, then sewing interlining into the lining was a bit of work. See you then! 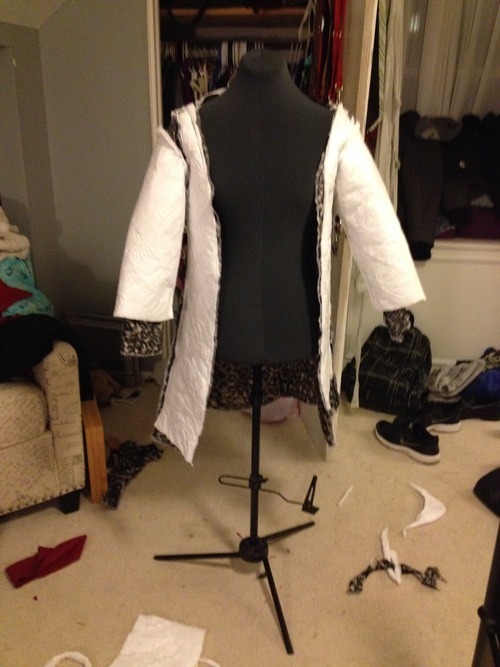 So, the only thing left to do is attach the collar (which is that odd bunch of fabric sitting on the top), iron it, remove the tacks and buttons/button holes which I won’t be doing until after the lining and interlining is all in. Woof. This was probably the hardest part though and it should be all smooth sailing and take relatively little time from this point on.